i adapted it a long time ago from the Tassajara Cookbook. In this batch i used almonds, hazelnuts, walnuts, pecans, oats, poppy seeds, coconut, sesame seeds and dried blueberries. DRY INGREDIENTS when i say dry ingredients here i’m referring to: whatever nuts you like, any seeds, wheat germ, oats, rolled grains, hemp hearts etc. FRUIT i add my dried fruit after the granola is cooked, so i don’t count it in your overall measure. dried apples are sometimes good to roast with it because they get crunchy but i find everything else just gets too dry. anything bigger than raisins or blueberries i would dice! OIL / SWEETENER for every 10 c. of dry ingredients, measure out 1/2 c. oil and 1/2 c. agave, maple syrup, whatever sweetener you like. 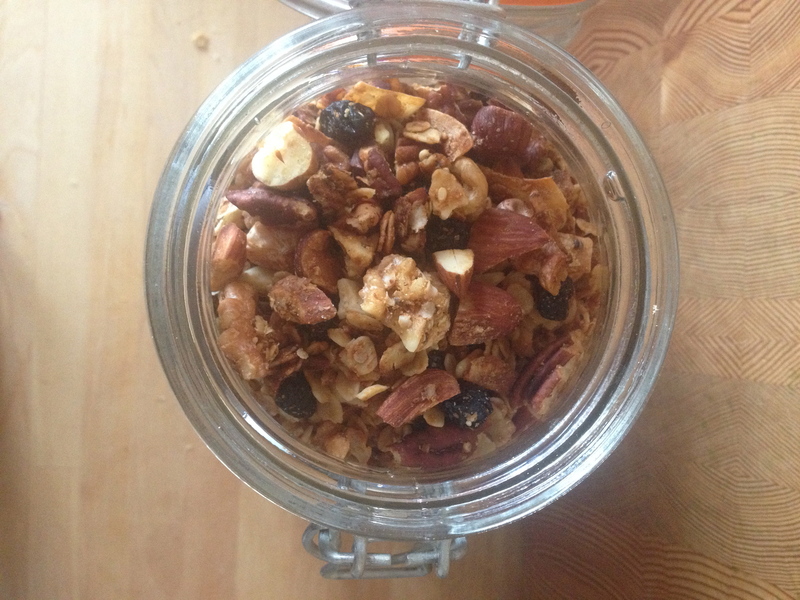 I use coconut oil and then heat it up with the sweetener, it makes everything thin and easier to coat the granola. another thing to do is replace half the sweetener with tahini or almond butter. Mix everything really well so it’s evenly coated. if it looks too dry feel free to use more oil + sweetener as you see fit. SALT salt that stuff! it tastes so good! SLOW ROAST roast your granola on parchment lined sheet pans at 300 degrees. don’t cook too much at once, stir frequently and cook for about 30 minutes. it will probably take multiple batches but it’s worth while. 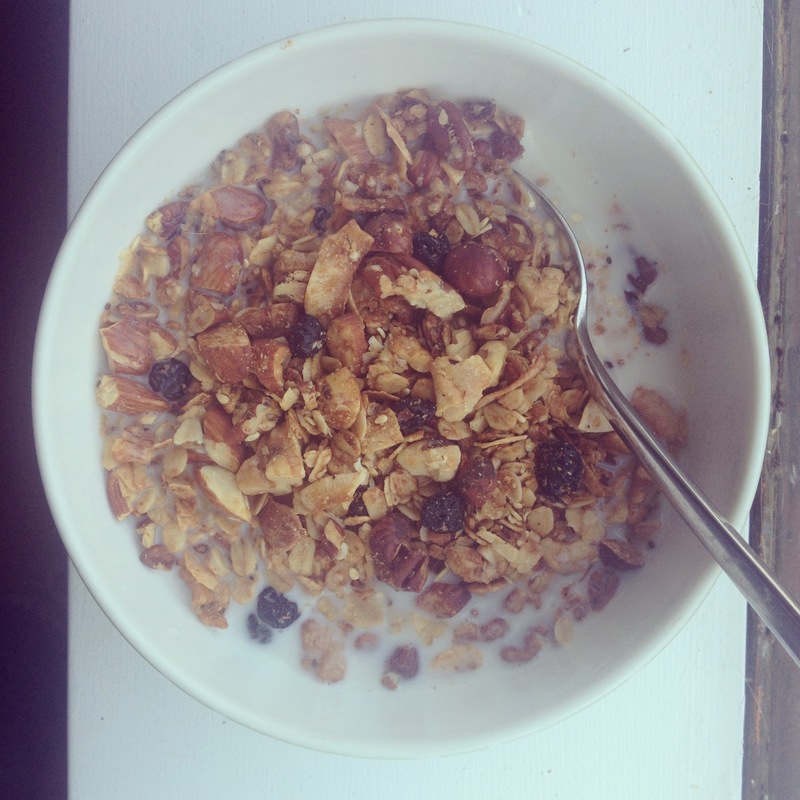 burning granola is the worst. let cool on parchment then stir in fruit and store in an airtight container.